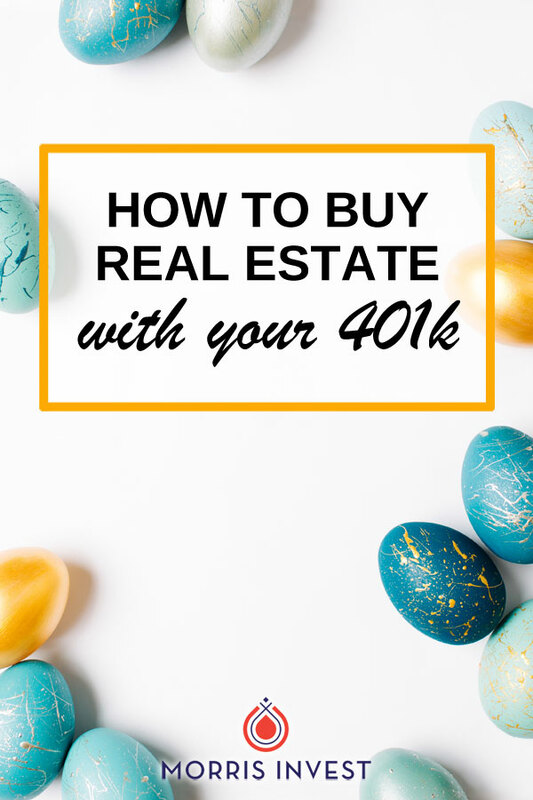 Every year, I take a loan from my 401k plan to purchase a cash-flowing real estate investment. Are the bells and whistles going off yet? Typically when I talk about utilizing this strategy, I’m met with a lot of fear. We’re told that we should under no circumstances touch our retirement funds, that we should never touch that nest egg, unless it’s an absolute life-or-death emergency. I have to disagree! This is the strategy I’ve used to build my real estate business. I’m not talking about totally withdrawing from your account. This is different. I’m talking about taking a loan, under certain terms. Most 401k plans allow this with a few stipulations. Typically, there’s a maximum amount that can be withdrawn, and the loan must be paid back within one to two years. Think about it: your 401k is YOUR money. And it’s just sitting there in some fund selected by your employer. Why give someone else the power? Why not take that money and turn it into a performing asset? Why not be resourceful? Why not leverage your money? Read more about how holding on to your 401k and not investing may turn out to be a big mistake. Here’s how it works: a 401k loan is a surprisingly simple process. You can log on to your 401k providers website, request a loan, and have a portion of your balance transferred to your bank account. Then you have a large chunk of cash with which you can purchase a rental property. You might be wondering about repayment. There is interest on this kind of loan. The good news is you’re paying interest back to yourself! You’re not borrowing from some big bank or other type of lender. Not only are you borrowing from yourself, but you’re also making your retirement account larger in the end! It’s really a win-win. Also, most plans require that the loan be paid back automatically. The repayment is deducted from your paycheck until paid in full. Usually this strategy can be utilized once per year. Again, not every strategy is right for every investor, in every circumstance. There are many strategies out there! This is simply a method that has worked for me, and many of our investors. This can be a great way to begin your journey to financial freedom. Should You Buy a Rental Property with an HOA?